It’s the ultimate autumn/winter outfit dilemma. It’s freezing outside, you’re going out, and you want to look good. Do you carry your coat around with you all night or hope that where you’re going will have a cloakroom? We’ve all been faced with it, so we’ve put together some key pieces that look glam enough for a night on the tiles, but are warm enough that you won’t catch hypothermia on your girl’s night out. The idea of a dress covering the kneck and arms may sound unflattering to most, but be it body con or skater style the look can be very stylish and cosy. By having long sleeves it helps you feel that little bit warmer when waiting for your taxi outside or queuing to get into your favourite club. Who’d of thought you can look comfy, cosy AND glam? Well you can with a cropped turtle neck jumper. Wear with a leather skirt and tights for a going out look to combat the cold. Okay so you can’t exactly rock up to a club wearing this but it’s our fave trend of the A/W14 season! This is a great look for evening drinks in the bar or a meal out with the girls and it is definitely a day to night item. It’s cold, you don’t want to get your legs out – let alone fake tan them! Leather trousers make for a great alternative whilst keeping you warm. Team with heels and a pretty top and you’ve got yourself a killer outfit. A faux fur waist coat looks sleek and adds some winter cosiness to your outfit. You can’t go wrong with an all black outfit, team with tights and a long sleeved tee for added warmth. High heel boots make any outfit suitable for a night out, but no one needs to know that you’re wearing the thickest pair of socks known to man. Keep your feet nice and toastie, whilst looking chic all throughout the winter. Word of warning, beware of ice when wearing any type of heel! So there you have it, no matter what your night out entails you can do it looking stylish AND warm. This entry was posted in OOTD, Trends and tagged asos, autumn, eveningwear, h&m, highheelboots, misguided, next, night, OOTD, winter, zara on October 3, 2014 by Charlotte Williams. With the Mango Sale drawing to a close, we’ve picked some adorable pieces that are fun and flirty on their own, but when paired with the essential blazer these outfits can be worn to work and then straight for drinks. 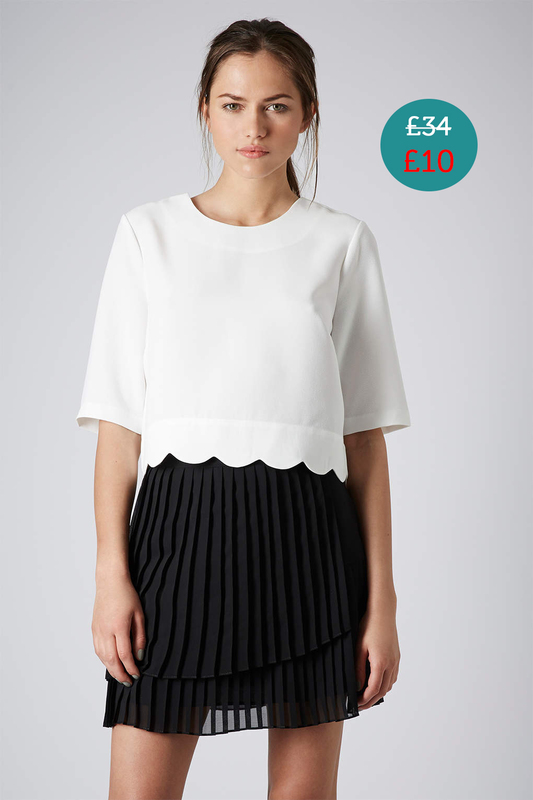 At only £14.99 (£49.99) there’s no excuse not to have it in your wardrobe! Tired of wearing the same trouser suit to work? For those of you who want to be a bit more adventurous with what you wear at the office without breaking the bank, take a peek at these versatile pieces that can be worn to work and also look great for daytime occasions! This floral lace dress is a sale steal. The whimsical design and soft fabric make it look and feel super comfy. The blazer will make this outfit mean business. The length appears longer due to the lace trim, but if it is still a bit too short for your workplace then wear with dark tights – great for when the weather turns colder too. This printed playsuit caught our eye in the Mango sale with the delicate blue and white design. The cinched in waist make a gorgeous silhouette and the flowy shorts make it look relaxed. Teamed with the essential blazer, this is a great look for work. It adds some colour to the usual dull grey and navy sea of people. If you don’t like your knees on show at work then tights can be added to this outfit too. This shift dress hides a multitude of sins but still looks bold and cheerful. Totally appropriate for the workplace with its high neckline, and can be worn with tights if it’s too cold to have your pins out. Worn with the blazer this look is killer for the office, but can also be worn with leggings and a necklace for date night. 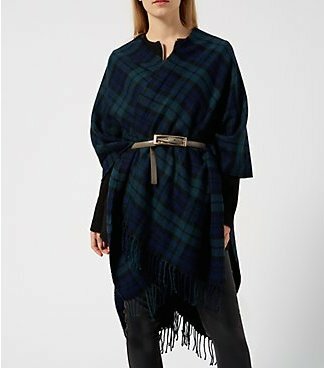 This is a statement piece that’s a steal from the Mango sale. 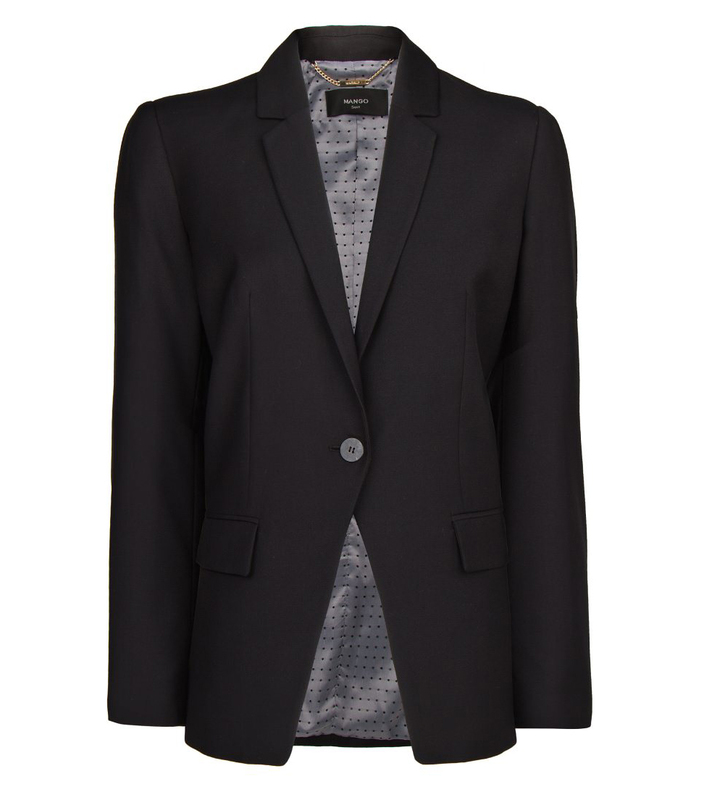 Investing in a blazer means you can smarten up almost any outfit you have in your wardrobe. This means you can spend more money on sales and less on those trouser suits! This entry was posted in OOTD and tagged blazer, mango, mangosale, OOTD, sale, workplace on September 2, 2014 by Charlotte Williams. Here at LoveSales we scour thousands of sale items every day looking for the best deals! 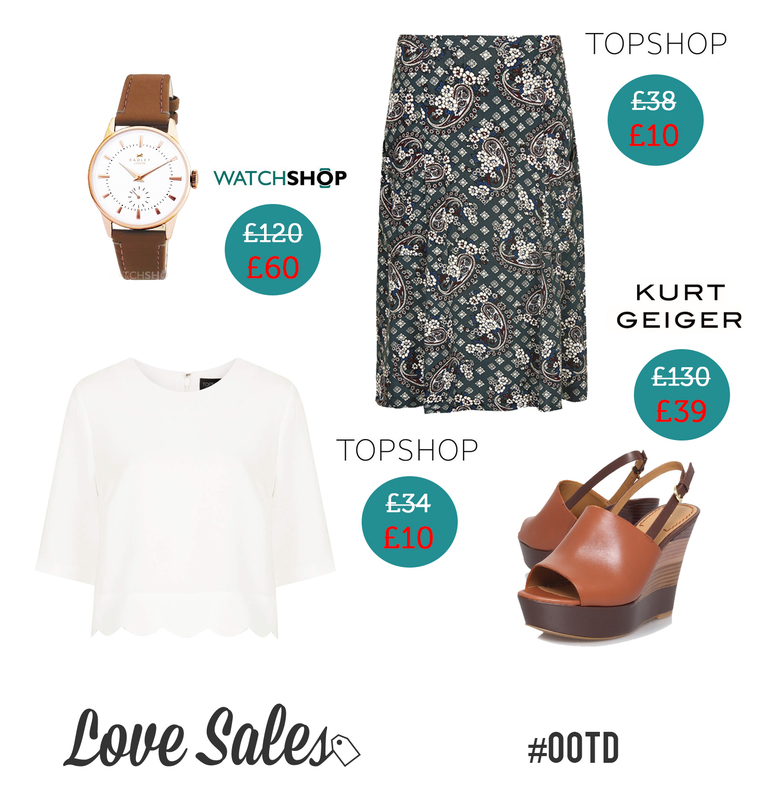 This OOTD was plucked from Topshop, Kurt Geiger & WatchShop and is perfect for soaking up the last of the summer sunshine. This outfit makes a statement with the bold midi skirt and can be taken from day to night in a flash. The soft fabrics mean you’ll stay cool in the heat, or team with a leather jacket to fight the chill. 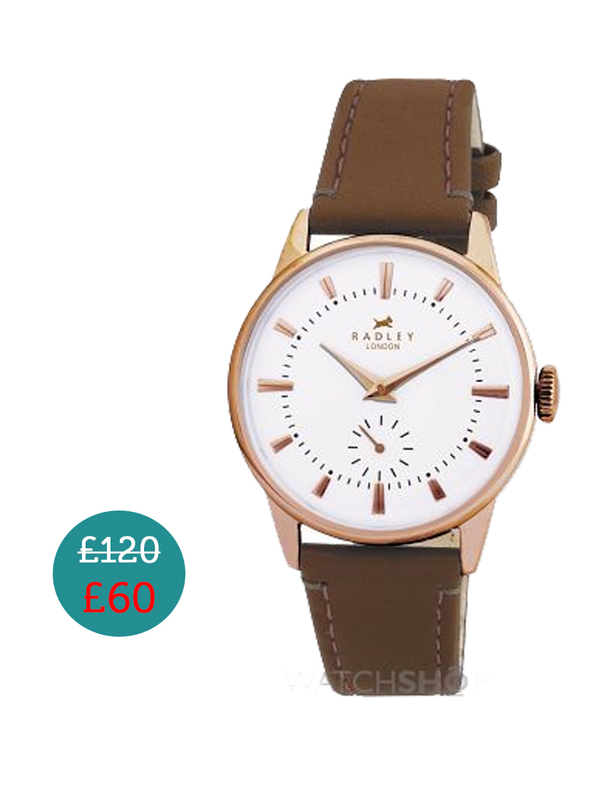 This Radley watch looks classically stylish in brown leather. The thin strap makes it look demure but the gold accents certainly make it pop. Perfect for any OOTD! The scallop hem makes this tee far from boring. The top crops at just the right length so it is perfect to pair with high waisted bottoms. This skirt is the perfect injection of colour to add to an OOTD. 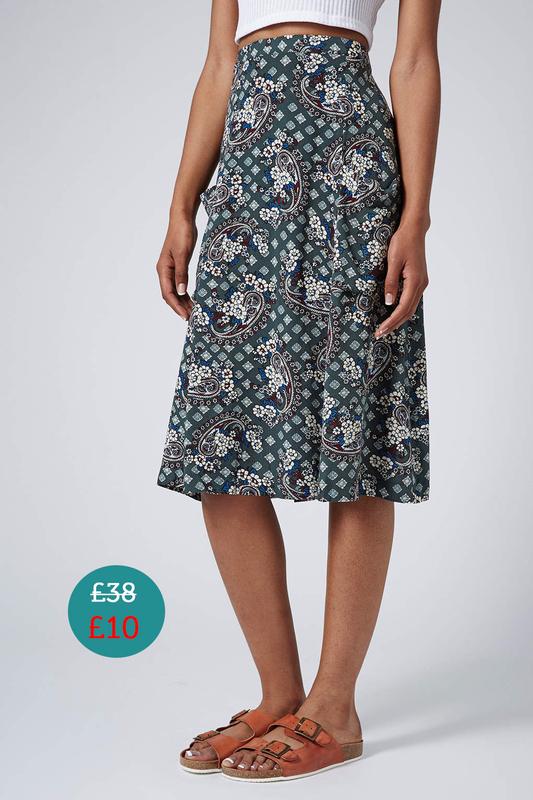 The midi length means this outfit can be taken from the office straight to the pub. High heel wedges give you hight whilst being appropriate for the office. These sling backs give the perfect casual look, but the layer detail gives them a cool twist. Why not check out our sales feed to find some more sale goodies? This entry was posted in OOTD on August 28, 2014 by Charlotte Williams.